SIGNED - This book is Tom's memoirs of climbing in the Himalaya and Karakoram over more than thirty years. His aim in writing it is to reflect on decisions and judgements he has made in the mountains and to try to draw some conclusions about them and their sometimes life and death outcomes. Tom Richardson is a mountaineer, long established member of the Alpine Club, Leader for KE Adventure and former Gear Editor for Climb magazine. 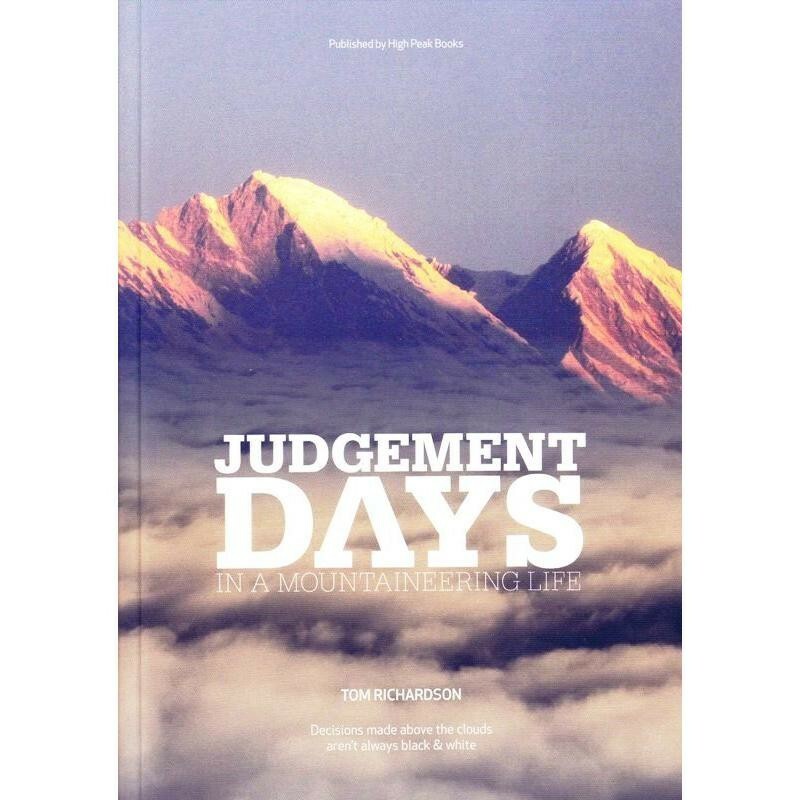 This book, Judgement Days is his story of climbing in the Himalaya and Karakoram over more than thirty years. His aim in writing it is to reflect on decisions and judgements he has made in the mountains and to try to draw some conclusions about them and their sometimes life and death outcomes. Good outcomes can be achieved despite bad decisions and sometimes vice versa. He attempts to explore where the narrow line between adventure and misadventure lies and what place luck has in events.